There is no place like Wilson’s on Washington! The perfect blend of classic and cutting edge allows Wilson’s On Washington to maintain success in a world saturated with salons that follow a business as usual model. building a state-of-the-art facility on a formerly vacant lot. 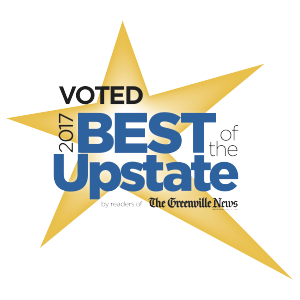 Choosing this location beautified the downtown business area, which aligned with the salon’s long-term commitment to provide the best in beauty for Greenville residents. Today, Wilson’s 35 chairs are set amongst a backdrop of impressive interior design, where WOW’s team of highly-trained professionals work to craft specialized services ranging from designer cuts, meticulous styling and hair extensions. We are also proud to be an L’Oreal Professionnel Black Level Elite and Brazilian Blowout certified salon. No matter your style goals, we can achieve them.